Born in London in 1976 Laura studied with Itzhak Rashkovsky at the Royal College of Music, London. Prizes include the Royal Over-Seas League, Musicians Benevolent Fund, Manoug Parikian Award and the TWIYCA Competition, resulting in her South Bank Recital debut. 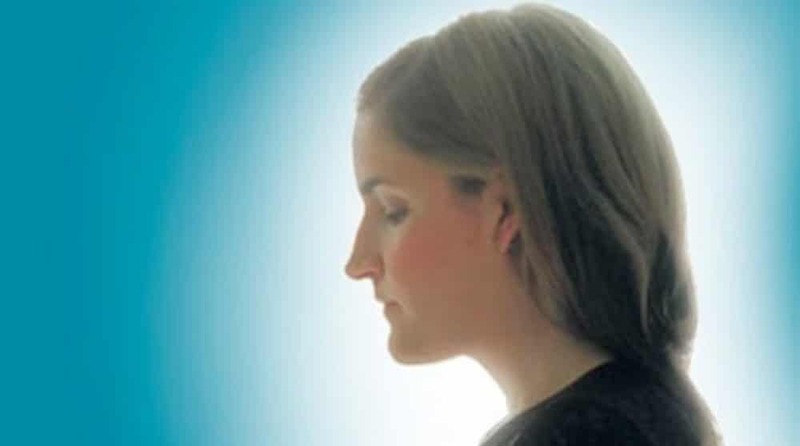 In 1994 she co-founded the Belcea Quartet and was a member for 16 years. The quartet won first prize in the Osaka and Bordeaux International Competitions. Worldwide tours included regular visits to the States, Far East and throughout Europe as well as a 5-year residency at the Wigmore Hall, London. Their numerous recordings for EMI Classics include Bartok, Janacek and Britten cycles as well as Mozart, Schubert, Brahms, Debussy and Ravel quartets and have won Gramophone, Midem, Edison and Echo Klassik Awards. Solo performances this season include the Brahms, Bruch, Mendelssohn, Prokofiev (2nd) Concertos and most recently the Barber at the QEH as part of the South Bank Bernstein Project. Laura has taught Chamber music at the GSMD and RNCM, and plays the ex ‘Nissel’ Stradivarius of 1731. She joined the Nash Ensemble in 2010. Performer, editor, composer and teacher, Simon Rowland-Jones has always led a very busy, all-embracing musical life. He was founder violist of the Chilingirian Quartet, in which he played for a total of ten years, and he has also performed with many other leading chamber groups, including the Nash Ensemble.As a soloist he made a highly acclaimed Carnegie Hall début in 1979, and has since given many recitals and made a number of solo recordings. His CDs, on the Meridian and Etcetera labels, include the first-ever complete version of the Bach Cello Suites on viola. Peters Edition published his own viola transcription of the suites shortly after the recording was made. After editing the Bach, Simon Rowland-Jones went on to make a new critical/performing edition of the Haydn String Quartets, also for Peters Edition. This massive twelve-year project is now completed with seven volumes of the edition already being used by string quartets around the world. He has, from a very early age, been a composer too. Receiving lessons from Nadia Boulanger while a student at the Yehudi Menuhin School, he now spends an ever-increasing part of his life writing chamber music. His many works, which include three string quartets, a string trio, a piano quartet and ‘A Turn Outside’, a musical adaptation of a play by Stevie Smith commissioned by Dame Josephine Barstow, have become an integral part of his performing career. Simon Rowland-Jones also teaches viola and chamber music at the RCM. He is also a co-director of the North Norfolk Music Festival. Scottish cellist Alasdair Tait has performed in many of the world’s major concert halls and is also much sought after as a chamber music coach and teacher. In 2009 Alasdair took up the position of Head of Chamber Music at the Guildhall School alongside his continuing role as Chief Executive of Young Concert Artists Trust. Prior to this appointment, he held the post of Director of Chamber Music at the RNCM in Manchester, Artistic Director of the RNCM International Chamber Music Festival, Professor of Chamber Music at the International Chamber Music Institute of the Reina Sofia Conservatoire in Madrid and has been a regular professor on the Britten-Pears International Quartet Academy and Lake District Summer Music. He is frequently invited as jury member on international competitions such as Chamber Music Australia and the Joseph Haydn Wettbewerb, Vienna. Most recently he has given masterclasses in Australia, Japan and Singapore as well as throughout Europe.Alasdair studied at the Royal Northern College of Music in Manchester under Emma Ferrand and Ralph Kirshbaum and at the Musik Akademie in Basel, Switzerland, with Thomas Demenga. On returning to the UK in 1998, Alasdair joined the Belcea Quartet and was its cellist until 2006. During this time he has performed around the world with tours to Australia and New Zealand, the Far East, North and South America as well as throughout Europe and at some of the world’s most prestigious venues including Carnegie Hall, Musikverein and Konzerthaus, Köln Philharmonie, Concertgebouw, Chatelet, Cité de la Musique, Frankfurt Alte Oper and the Casals Hall in Tokyo. For five years the quartet was Resident Quartet at Wigmore Hall, a position which also included regular education work. As a member of the Belcea Quartet Alasdair has recorded for EMI CDs of Schubert, Brahms, Britten, Mozart, Fauré and Barber and collaborated with Ian Bostridge, Thomas Ades, Thomas Kakushka and Jonathan Lemalu. Their disc of Debussy, Ravel and Duttilleux quartets won a Gramaphone Award and an earlier recording of Janacek was awarded a Diapason d’Or in France. 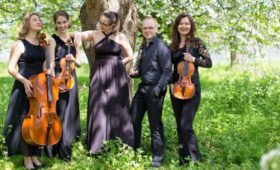 As well as being one of the first groups to participate in the BBC New Generation Artists Scheme, the quartet were also twice recipients of the prestigious Royal Philharmonic Society Awards for Chamber Music Ensemble. Alasdair has participated in many of the world’s important festivals including Edinburgh, Salzburg, Schubertiade, Risør, Delft, Aldeburgh, Cheltenham and Bath, performing alongside artists including Piotr Andrezewski, Christian Zacharias, Kathryn Stott, Imogen Cooper, Aleksander Madzar, Isabelle van Keulen, Alexander Janicek, Valentin Erben, Borodin Quartet, Heinz Holliger, Michael Collins, Simon Keenlyside, Dame Anne Murray and Lisa Milne. 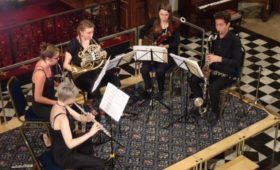 In 2004 he formed the Ulysses Ensemble, a group of international chamber musicians dedicated to exploring the various musical styles and genres of the 20th and 21st centuries. 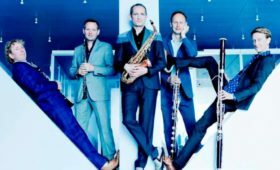 They have formed a close relationship with the Aldeburgh Festival, participating in two residencies culminating in their inaugural concert at the 2005 festival. Since then they have appeared at Wigmore Hall with Christine Schäfer in Pierrot Lunaire and Het Concertgebouw in 2009.